Do you ever feel bad for throwing away those beautiful calendars with landscape pictures? 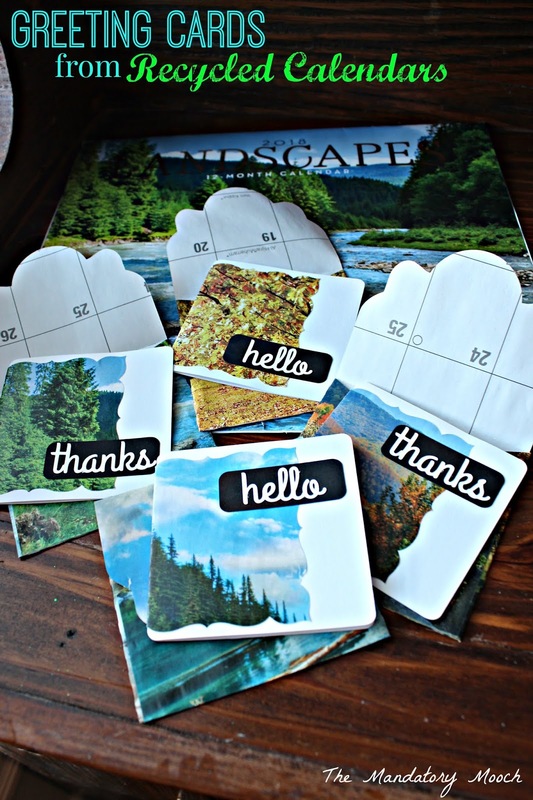 Or want to do a fun project with a cheap dollar store calendar? How about turning them into greeting cards?!?! I took a dollar store calendar and made 12 greeting cards. What a fun project and a great way to recycle or make a special gift! Tear or cut apart the calendar. Using a template in your cutting machine program, cut envelopes and card decor out of the landscape pictures. Assemble the envelopes and cards.